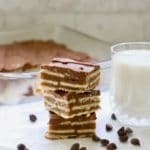 This recipe for Homemade Copycat Kit Kat Bars is probably one of the easiest and most fun to make recipes on my blog. These morsels are a candy bar miracle! 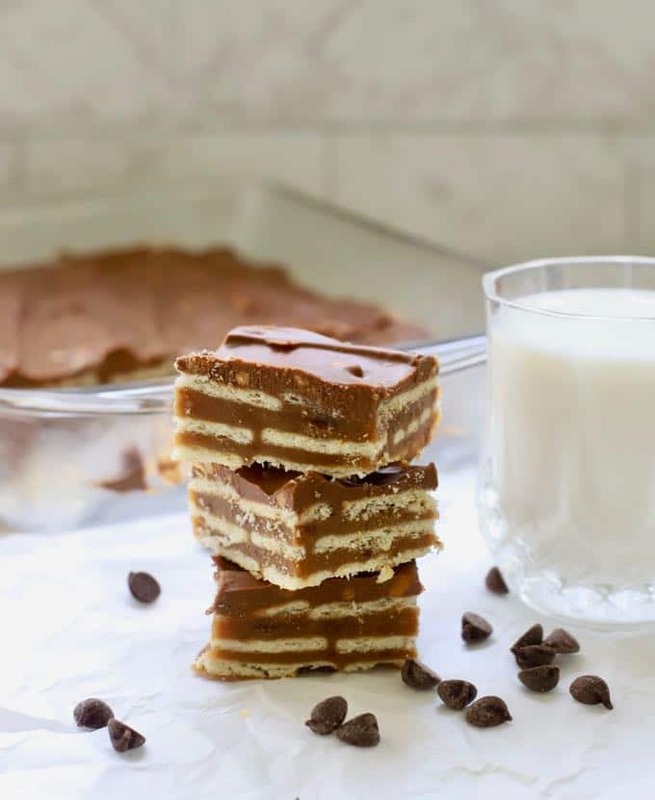 Waverly wafers (club crackers) are combined with graham cracker crumbs, peanut butter, butterscotch, and chocolate chips to make a delicious and whimsical bar cookie which tastes almost like a Kit Kat candy bar. 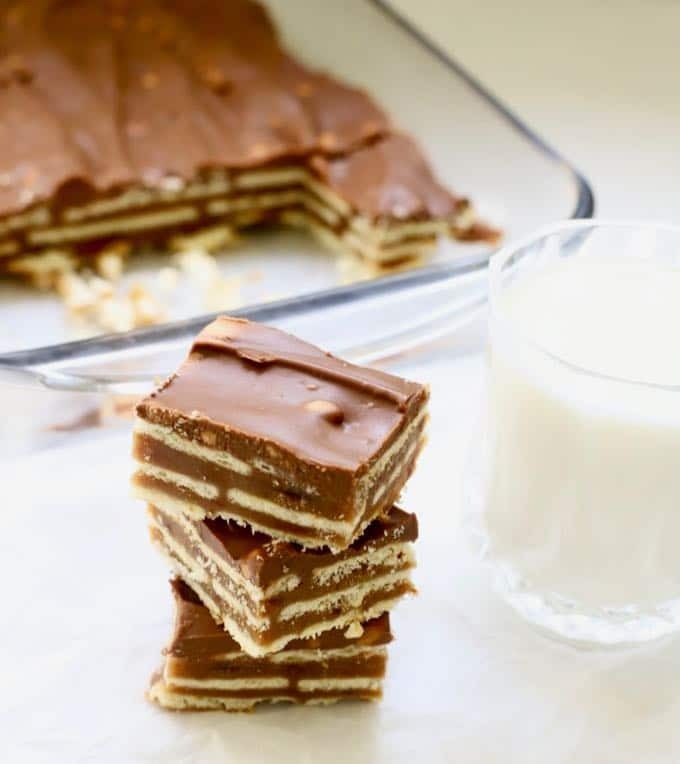 Certainly, no health benefits or nutritional value here, just a plain old-fashioned copycat candy bar recipe which is delicious, quick, and easy to prepare. If you want to save calories, simply cut the bars smaller. 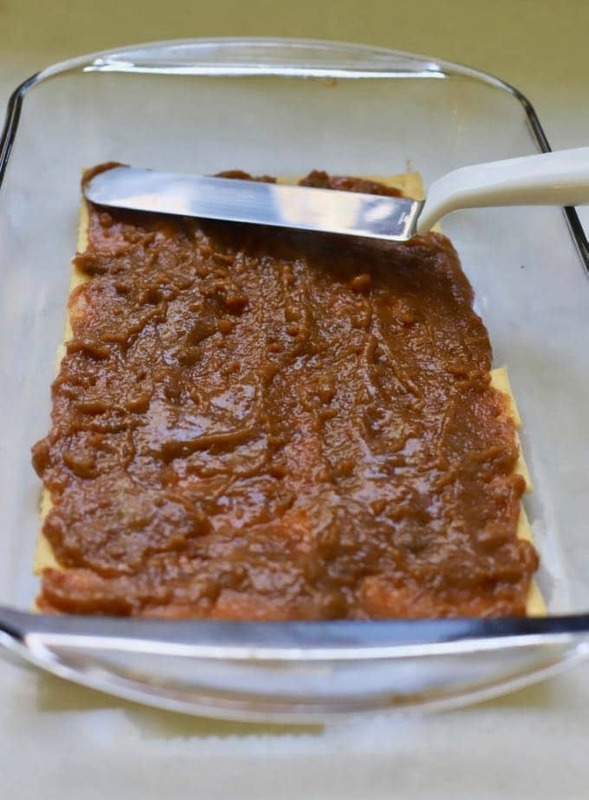 Sarah Doctor-Williams shared this fun recipe with me, and I knew you would want it too! It’s too good not to share and would make a great dessert addition for a casual neighborhood pot-luck dinner or office party. If your significant other loves chocolate, this sweet confection would even be a fun Valentine’s Day dessert. These bars are so easy your kids could make them. If you like this recipe, you might also like these popular recipes: Easy Butter Pecan Cookies, Chocolate Chip Meringue Cookies, and Old Fashioned Crunchy Gingersnap Cookies. 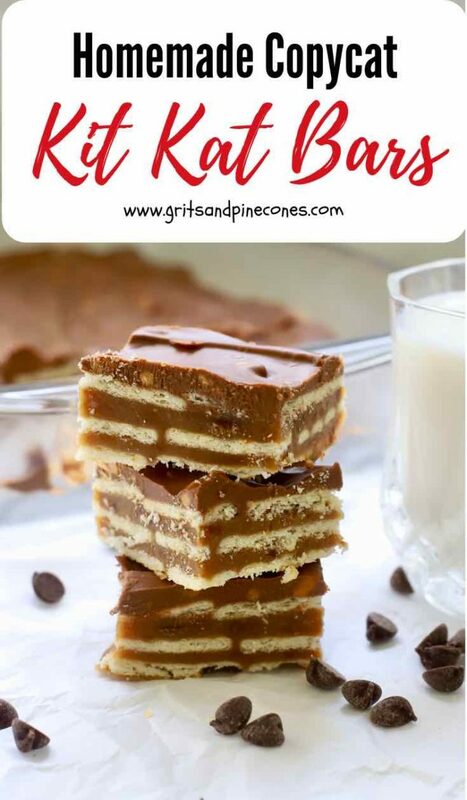 The ingredients for these Homemade Copycat Kit Kat Bars are simple: graham cracker crumbs, butter, granulated and brown sugar, milk, club crackers (Waverly wafers is one brand), semi-sweet chocolate chips, butterscotch chips, and peanut butter. 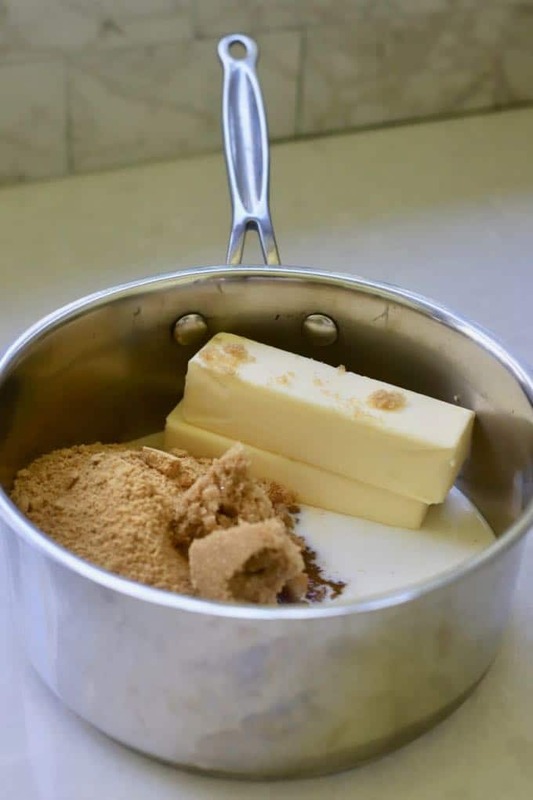 Place graham cracker crumbs, butter, granulated and brown sugars, and milk together in a saucepan over medium-high heat. Bring to a boil and boil for 5 minutes, stirring constantly. Remove from the heat and set aside. 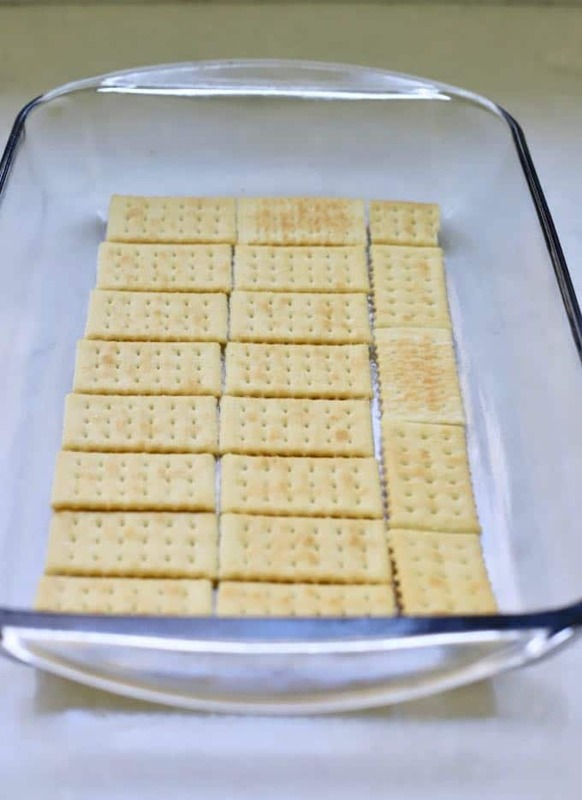 Place one layer of crackers in the bottom of a 9×13 inch ungreased baking dish to cover the entire bottom. Pour 1/2 of the graham cracker mixture on top and spread out evenly to cover all of the crackers. Put the second layer of crackers on top, and pour over the remainder of the graham cracker mixture. Spread out evenly over the crackers. Top with one more layer of crackers. You should now have three layers of crackers in your baking dish. Set aside. 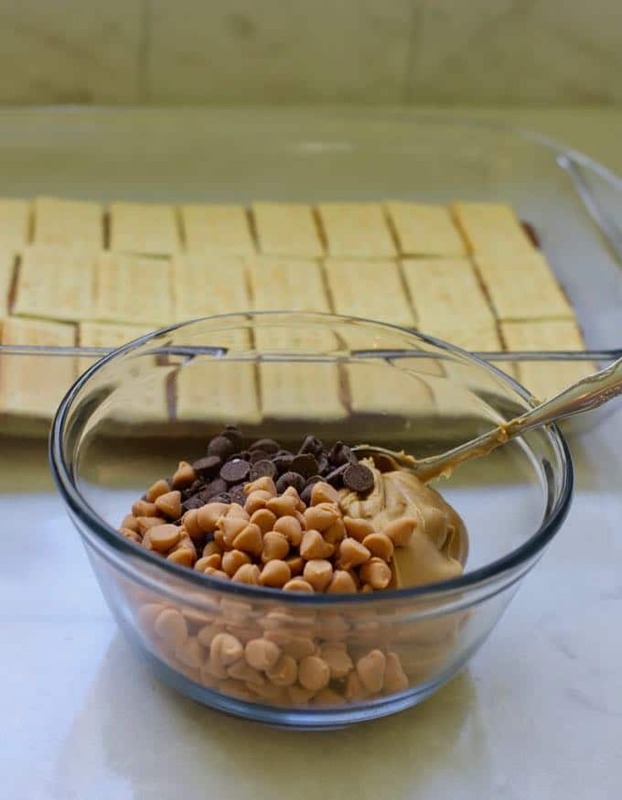 Place the chocolate and butterscotch chips in a microwave safe bowl and add the peanut butter. Stir to combine and microwave for one minute. Remove the bowl from the microwave and stir. 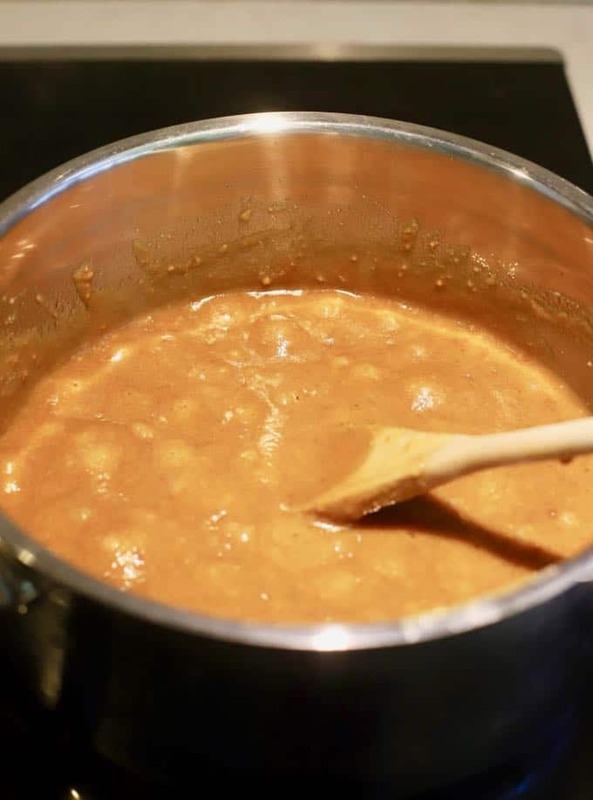 Continue microwaving and stirring for additional 30-second intervals until the chocolate and butterscotch melts and the mixture is smooth and creamy. Pour the chocolate mixture over the top of the third layer of crackers and smooth out evenly. Let cool completely, cover and store in the refrigerator. When ready to serve, cut into bars. I used crunchy peanut butter because that’s what I had, but creamy will work as well. I used Keebler Club Crackers. The hardest part of this entire recipe is spreading the graham cracker mixture over the first layer of crackers. An offset spatula works best for this. This recipe for Homemade Copycat Kit Kat Bars is probably one of the easiest and most fun recipes on my blog. These morsels are a candy bar miracle! Waverly wafers (club crackers) are combined with graham cracker crumbs, peanut butter, butterscotch, and chocolate chips to make a delicious and whimsical bar cookie which tastes almost like a Kit Kat candy bar. Bring to a boil and boil for 5 minutes stirring constantly. Remove from the heat and set aside. Place one layer of crackers in the bottom of a 9x13 inch ungreased baking dish to cover the entire bottom. Pour 1/2 of the graham cracker mixture on top and spread out evenly to cover all of the crackers. Put the second layer of crackers on top and pour over the remainder of the graham cracker mixture. Spread out evenly over the crackers. Place the chocolate and butterscotch chips in a microwave safe bowl and add the peanut butter. Stir to combine and microwave for one minute. Remove the bowl from the microwave and stir. Continue microwaving and stirring for additional 30-second intervals until the chocolate and butterscotch melts and the mixture is smooth and creamy. 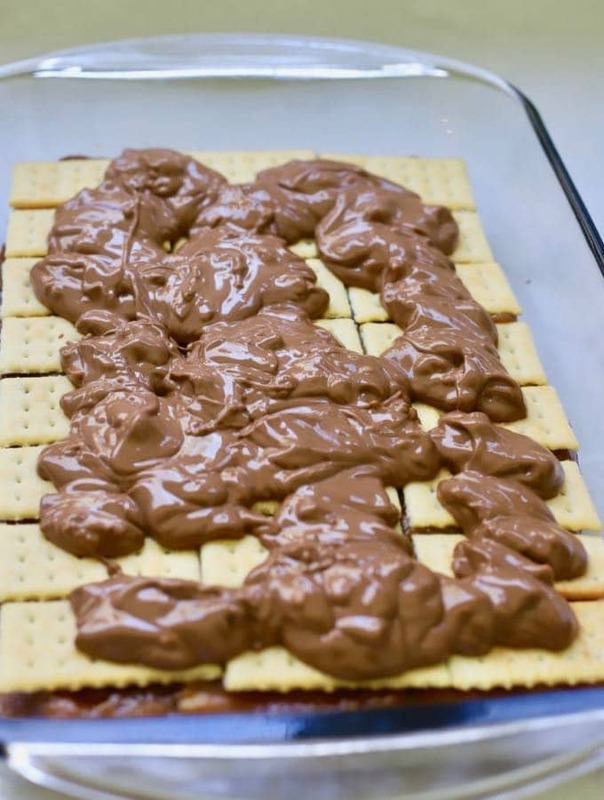 Pour the chocolate mixture over the top of the third layer of crackers and smooth out evenly. Let cool completely, cover and store in the refrigerator. When ready to serve, cut into bars. I used crunchy peanut butter because that's what I had, but creamy will work too!